Of course you all know the concept of signature cocktails for certain brands not just since yesterday. 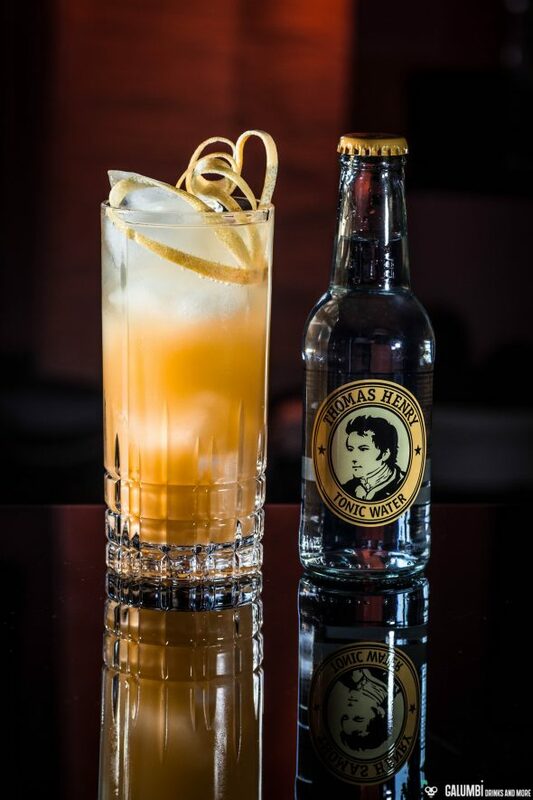 The most famous example certainly is still the Dark ‘N’ Stormy which is even trademarked or the original Moscow Mule. Meanwhile it has become quite common for spirits manufacturers and the makers of various fillers to publish their own signature drinks for example in the form of recipe books. That does not always lead to very refined drinks because often the aim is to have recipes for a mass audience so that particularly few ingredients are needed. (an understandable and welcome intention). But sometimes you can also find real gems and such I’d like to present today. It is taken from a recipe booklet of the German manufacturer of fillers, Thomas Henry. 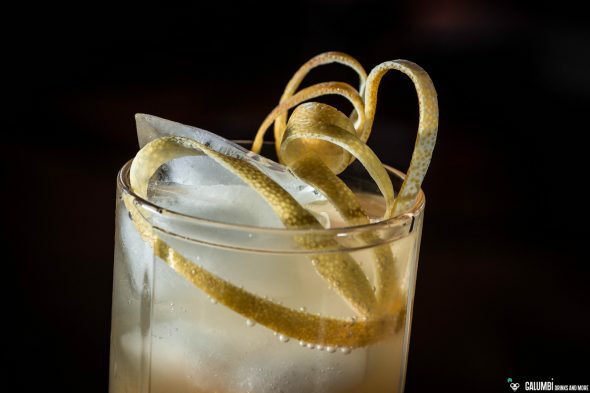 The drink was nonetheless created by the award winning bartender Daniel An from the Taste Buds Cocktail Palace in Shanghai. 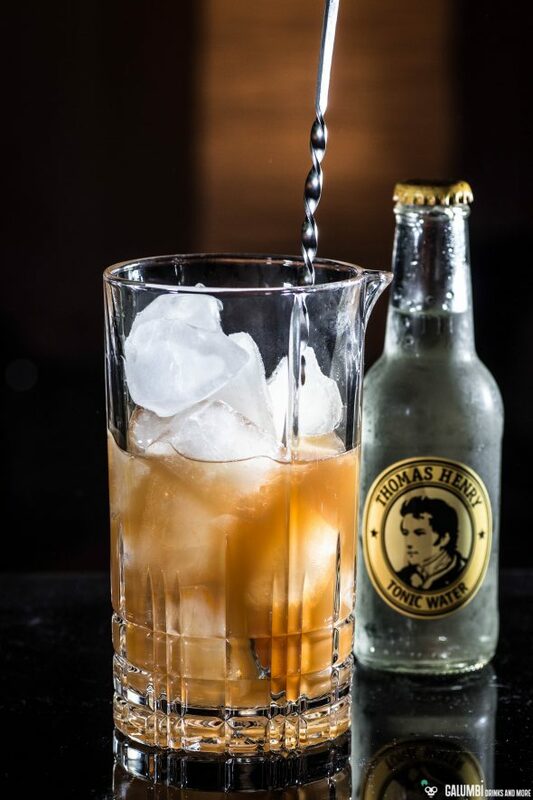 So it’s somehow a rather international drink which has been devised for Thomas Henry here. I was particularly impressed by the very interesting blend of ingredients so I just had to try it on my own. And that was a very good idea. The Smog Fizz already shows by its name that smoke plays a certain role in the drink. Although not directly, as in some smoked cocktails (for example in the Smoked Basil Daiquiri), but in the form of Lagavulin single malt whisky. Since Lagavulin also is one of my big favorites,I did not hesitate. Purists will forgive me but I can ensure you that normally I would not mix Lagavulin in a drink but here it was still worth it. The main role in the drink, however, is played by Ron Botucal Reserva Exclusiva, a rum I also appreciate very much. Together with Massenez Crème de Pêche, a little lime juice and crisp Tonic Water in the end you’ll have a real flavor bomb. Multi-layered, refreshing, fruity. Really good! 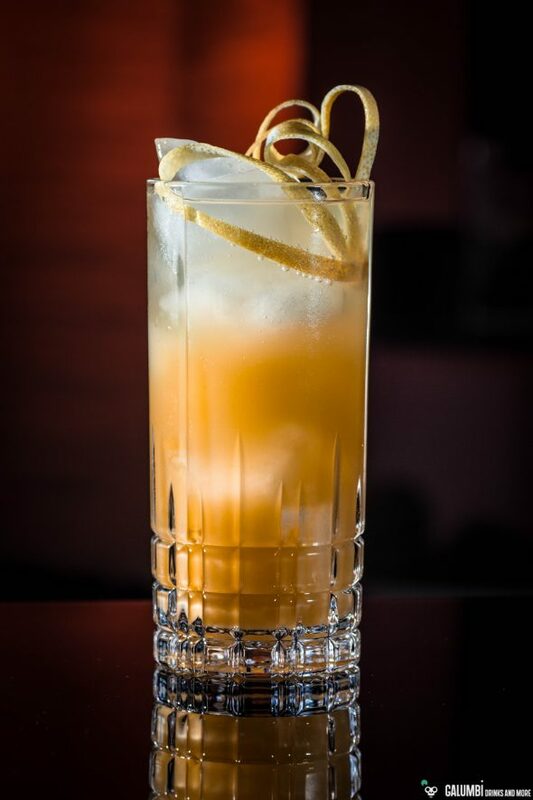 It should also be noted that the drink, despite the use of citrus juice, desires to be stirred according to the recipe. I do not know if you that was added for the sake of simplicity but I just followed that. Preparation: Mix all the ingredients except the Tonic cold on ice. Then pour into a glass filled with ice cubes and pour tonic. Buying sources: in specialized stores or online.